Athens, Ga. – Jin Xie, an assistant professor in the department of chemistry in the University of Georgia Franklin College of Arts and Sciences, has been awarded a grant from the National Science Foundation Faculty Early Career Development Program. CAREER awards are among the NSF’s most prestigious. The five-year grant supports junior faculty who exemplify the role of teacher-scholar and the integration of education and research within the context of the mission of their organizations. Xie’s research is focused on advances in nanobiotechnology, particularly the clustering of nanoparticles in biologically relevant structures that will lead to a new class of composite materials. These new materials will offer combinations that represent expanded possibilities in modern diagnosis and drug delivery within the human body. 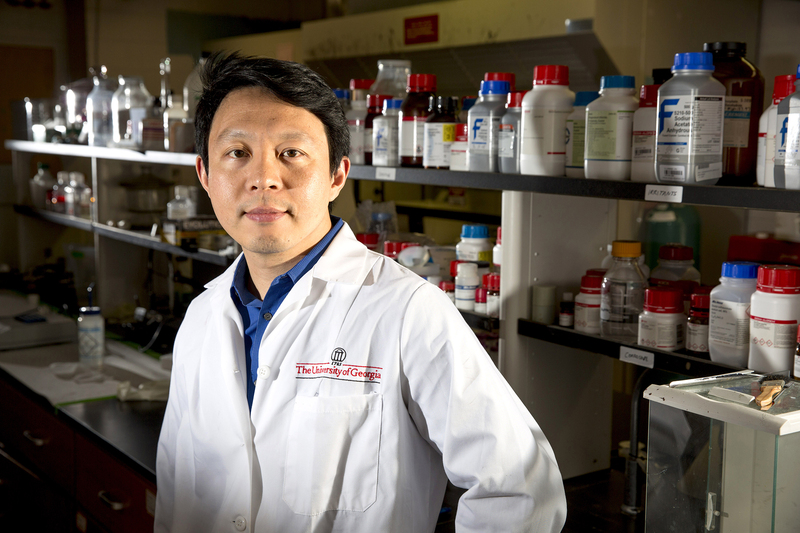 Xie arrived at UGA after postdoctoral appointments at the National Institutes of Health and Stanford University. He was awarded his Ph.D. from Brown University in 2008. CAREER grants allow young faculty members to solidify their research programs and progress toward scholarly publishing. The program includes an educational component, for which Xie will team with other UGA programs to develop new courses and materials. His new course, “Nanobiotechnology and Nanomedicine: from Bench to Bedside,” is being designed to give students a thorough introduction to nanotechnology with an emphasis on its transformative potential. He is establishing a multi-institute nanoscience forum for graduate and undergraduate students and collaborating with the UGA Young Dawgs program to provide hands-on research experience for high school students.